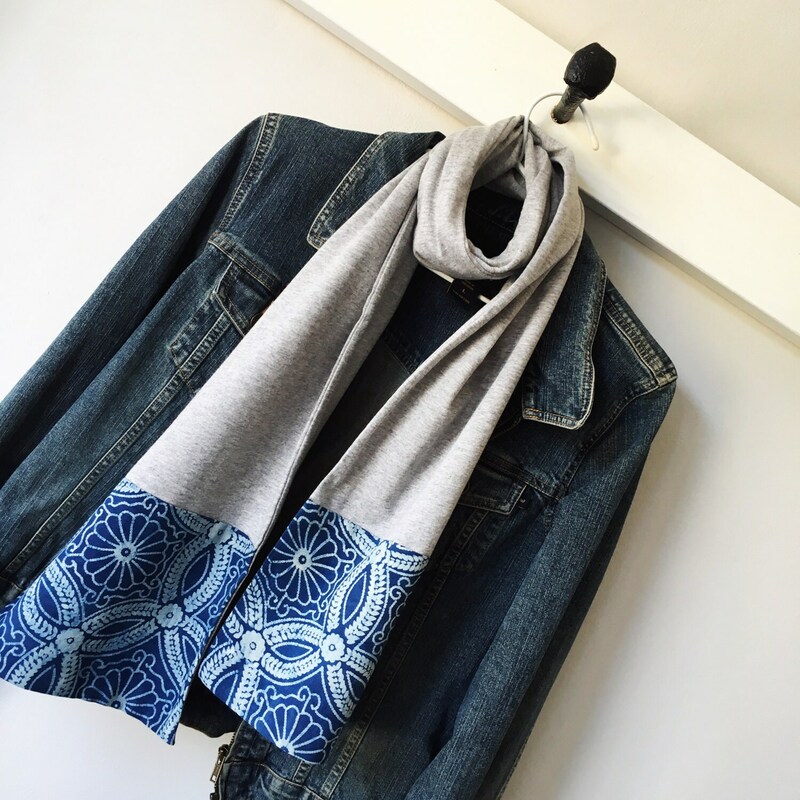 A beautiful scarf made from 100% cotton block print fabric from India and cotton jersey. 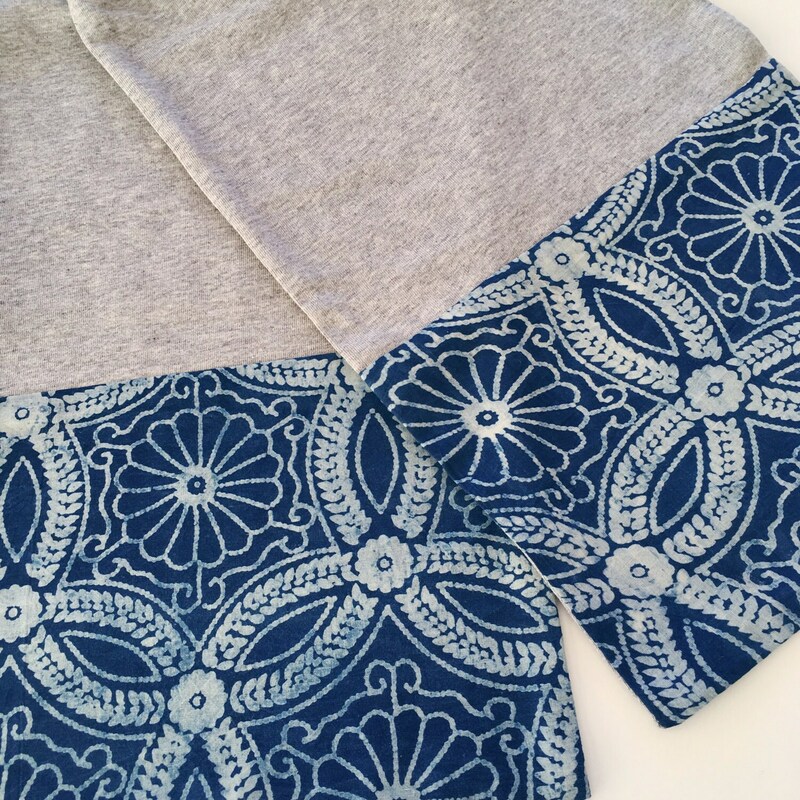 Grey Marle jersey matched with a blue & white block print cotton. 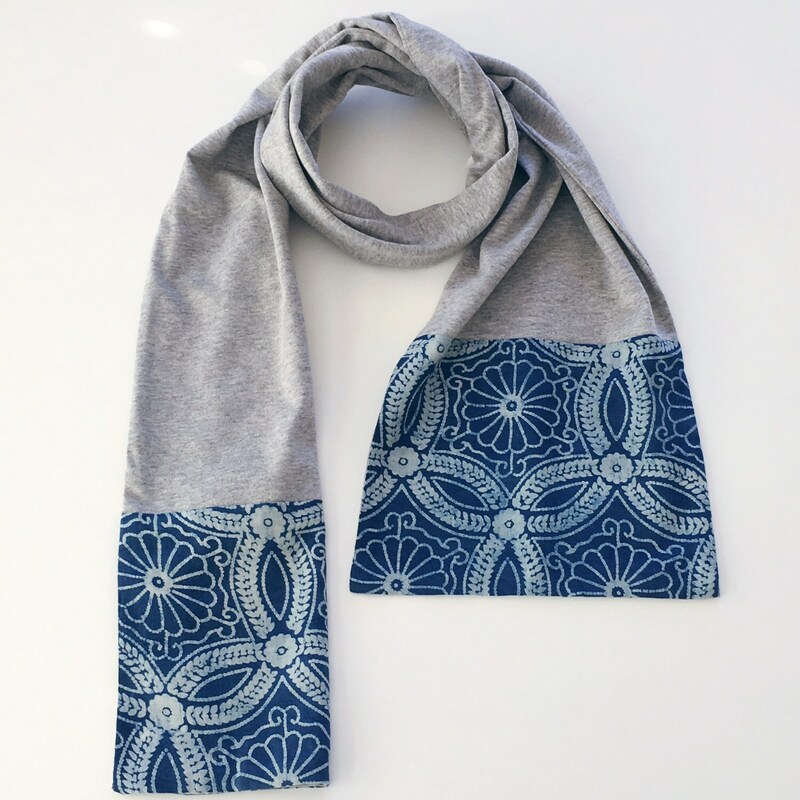 Because I greedy... :) this is my second scarf from this shop and like the first one, this too is ever so lovely and well-made.. I simply adore it!!! If I could, I would buy a scarf in every color from this shop. If you want something unique to give as a gift, to me, this would be a very welcomed gift.